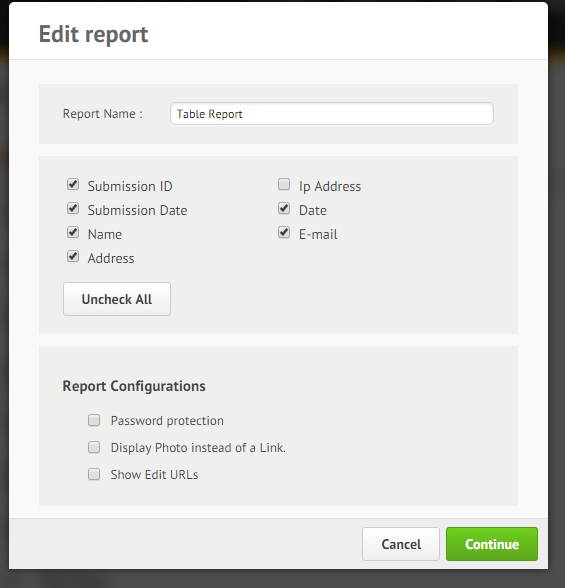 I would like to see only some dates in a table html report but do not see the filter option. If you are a spreadsheet expert, then you can take advantage of the Google Spreadsheet integration, the Google Spreadsheet application allows you to create charts with more flexibility in handling, managing and visualizing data. I have also forwarded this to our developers as a feature request in your behalf, please note that we cannot guarantee that this feature (filters for HTML table listing report) will be implemented, but rest assure that we will update you on this thread as soon as we hear any news.